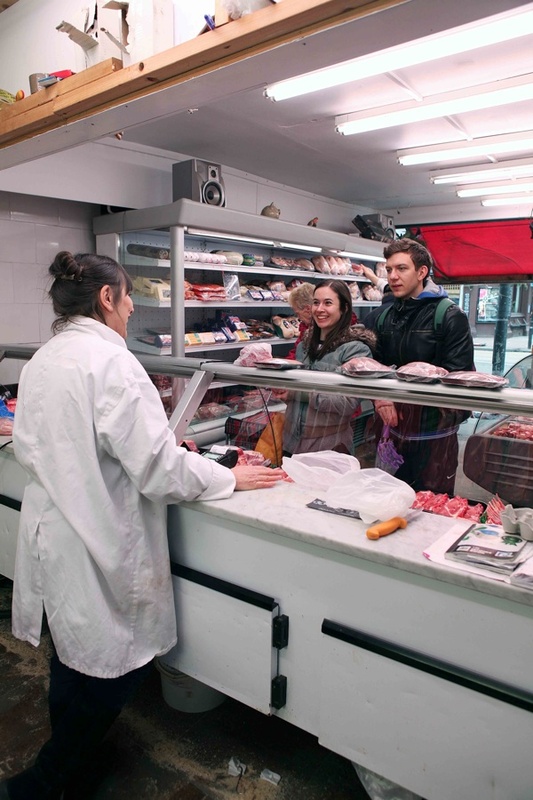 There is nothing like a butcher’s for friendly service and a larger selection. Nice images that perfectly capture this. Have a butchers! Keep up the good work! SO glad to hear you stood your ground and won! 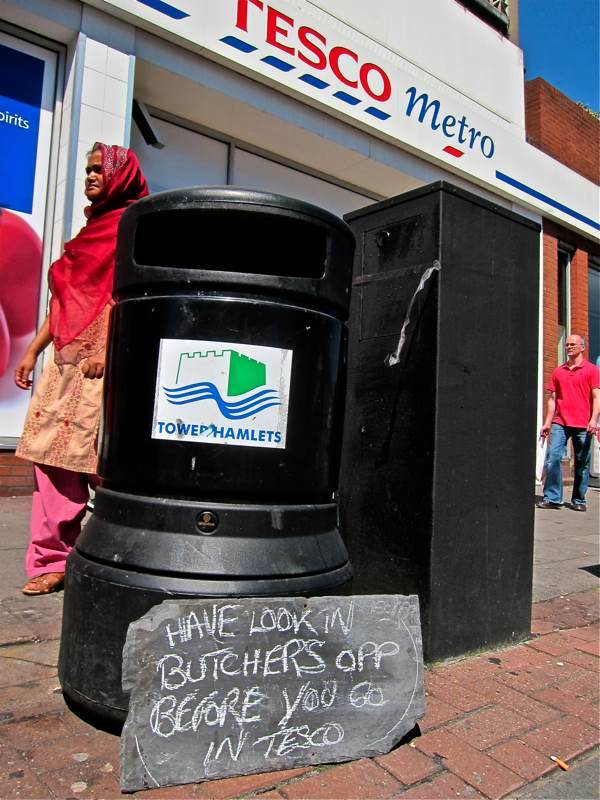 Tescos have a truly dreadful track record in aggressively wiping out local food retailers, as you no doubt found out. Well done. Long may you prosper. Oh! This brings back some memories for me. 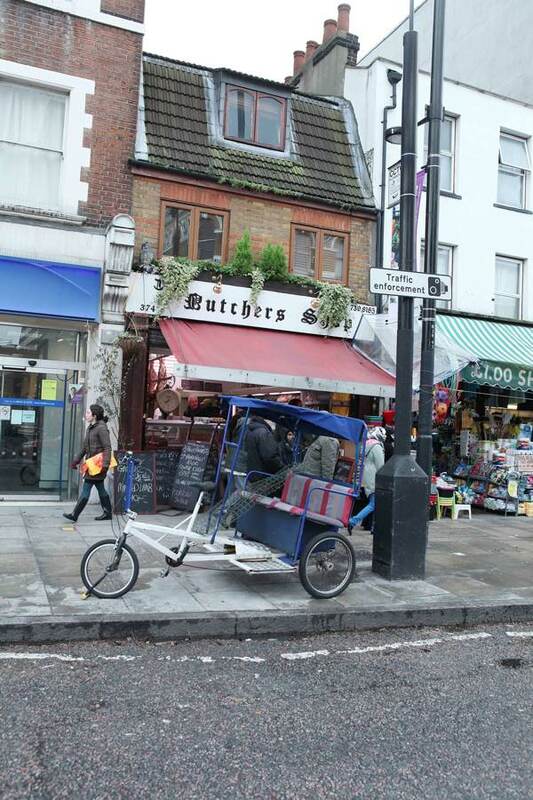 I had a Saturday job in Edwards the butchers three or four doors along from this butcher. I took the money and served the bacon and cooked meat. 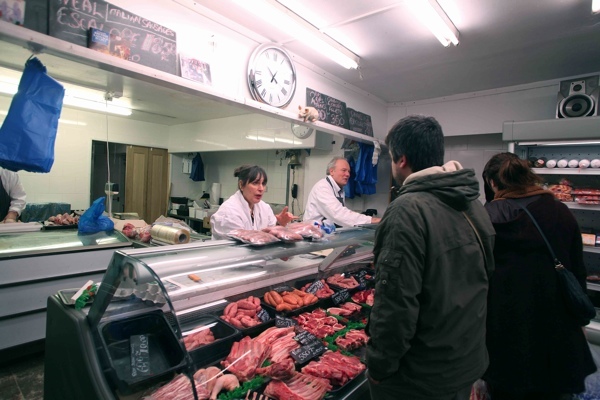 Alf ( the owner) used to give me pork chops at the end of the day yo take home for my tea. A very nice man. Thanks for this story, Gentle Author. Thank you, I’m proud to say I have never, and will never buy meat from Tesco as long as I live. We’ll done Peter of Bethnal Green , continued good luck to you . Thanks GA, a v good post, important. Ah yes, Beef that is brown, not pale pink! 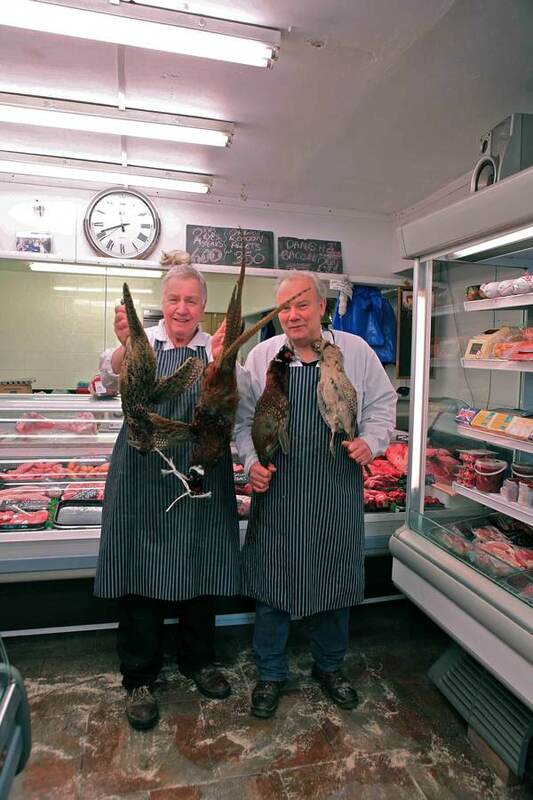 My local butcher in Walthamstow had a similar problem. 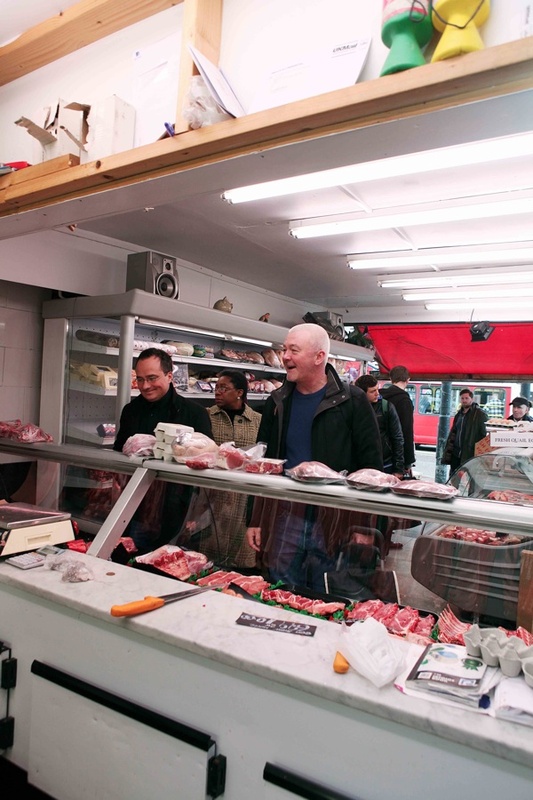 He had a shop in Hoe St, close to W Central station – rents went up – & he had to retreat to a factory-unit for some time, but now has one in Orford Rd & is doing much better. 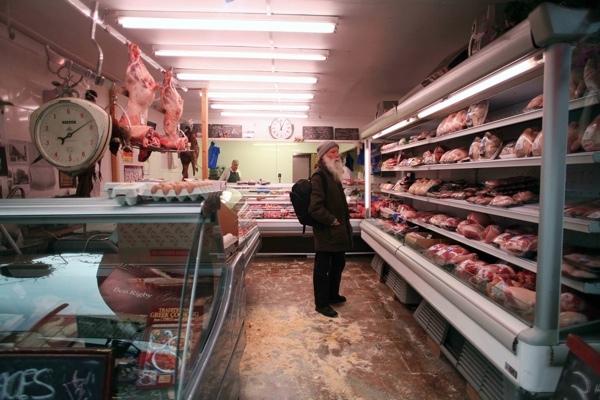 He also tries to source his meats from known delivery & supply chains, which matter enormously. 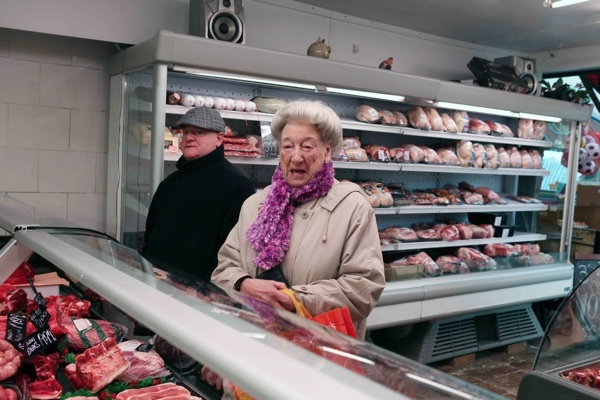 Lovely story – nice to see the local shop winning over from the big boy – keep up the good work. 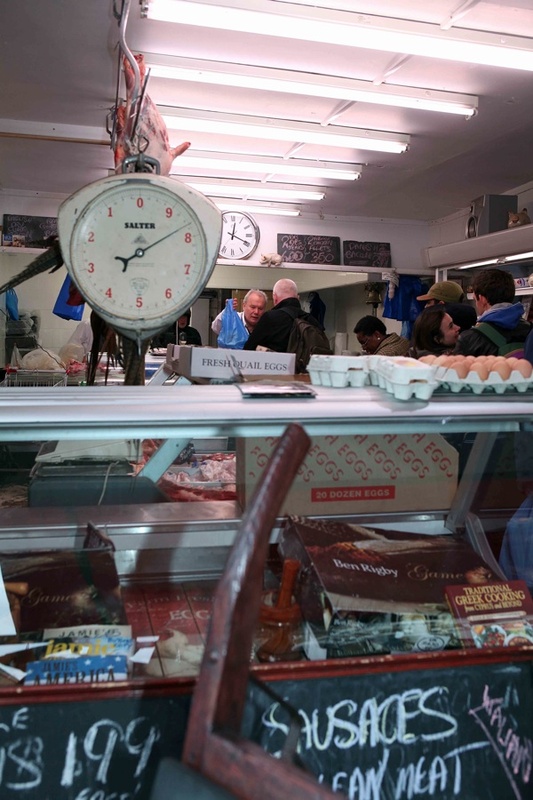 My dad worked as a teenager in Gunner’s butchers in the 1930s. He learned the rudiments of back-slang there and taught me various phrases when I was quite young. Mum was from Yorkshire and wasn’t too happy about that but she feigned amusement. I can still remember some of it but it’s about as much use as knowing Manx or Cornish where we live. Great news! Now I know where I’m off to get my meat in future. 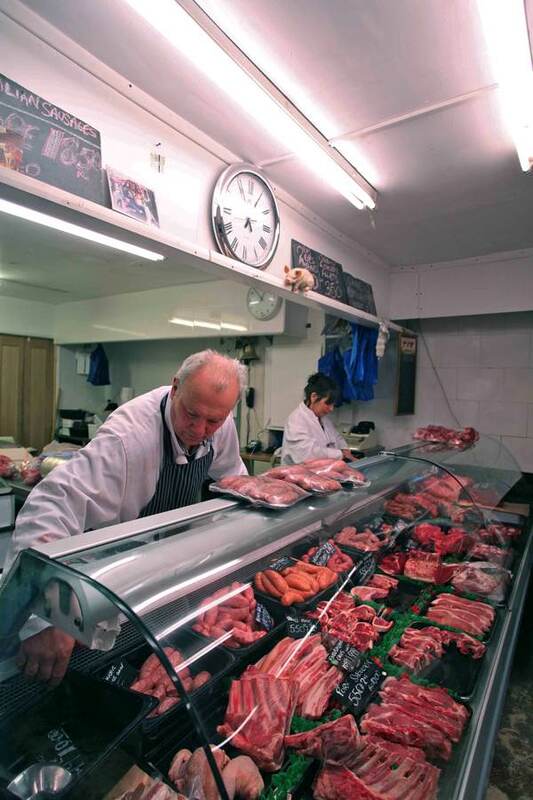 Proper meat from a proper butchers shop.The you know what you are buying & where it comes from.Our butcher has a list each week saying which farm the meat is from& in a lot of cases its cheaper than supermarket meat. 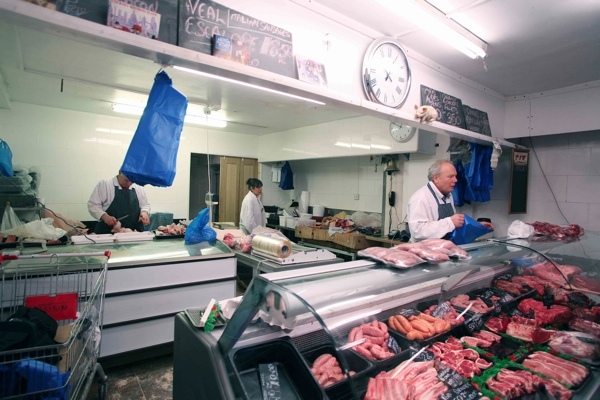 As someone who hasn’t bought from a supermarket in 20 years as I like to support the small independent/local shops/farmers markets, I salute you! 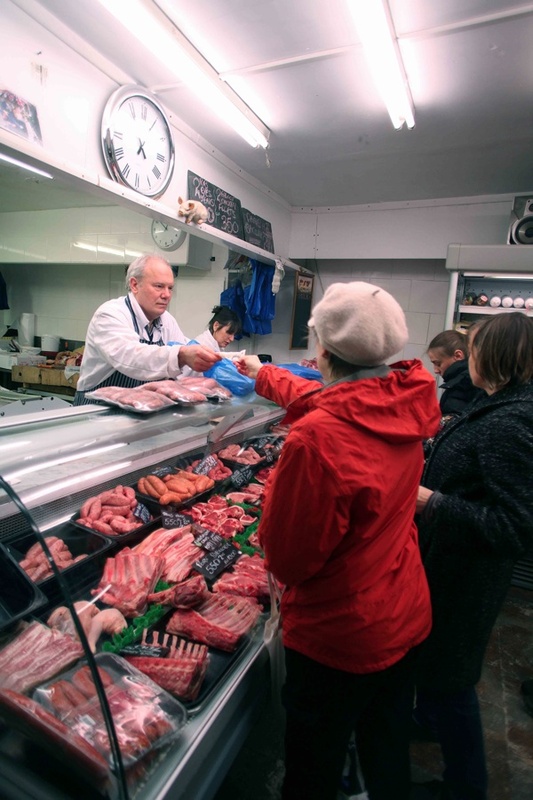 One of the most frustrating factors for me is that the British consumer still hasn’t realised that buying food produce from trusted outlets (that would exclude a number of supermarket chains) you get better produce at better value, support the economy of small retailers AND stand a better chance to look after your health. (you can monitor where produce comes from) I call this a Win-Win-Win situation. Peter, keep on making yourself heard, something the British are not so good at. And as for Tesco, the bullies, rather pathetic and small-minded behaviour! That, to me, sums them up in one! I must admit I do love a good sausage and this blokes sausages look like they would be to die for; thank you or another delightful post. I shall now go raid my refrigerator. 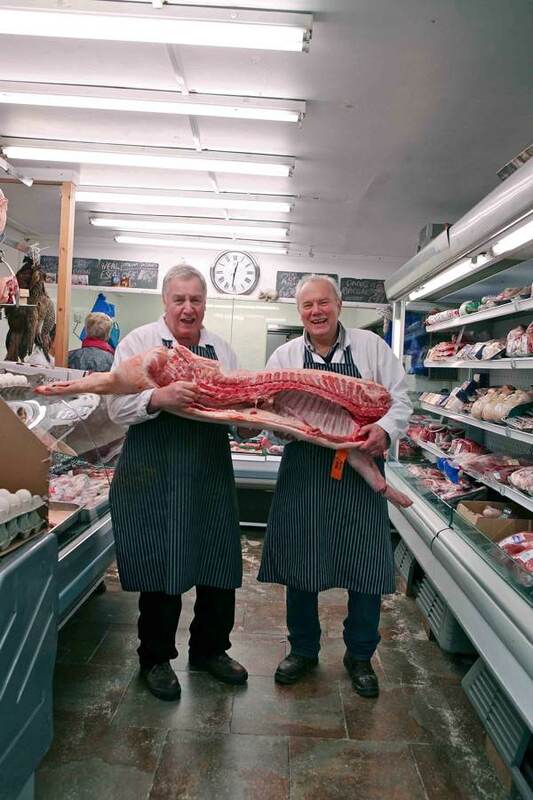 Now that’s a proper butcher! Sawdust on the chop’s floor happily takes me back more years than I care to count, back to the first time a butcher reached over the counter to hand me a wiener while my mother shopped. 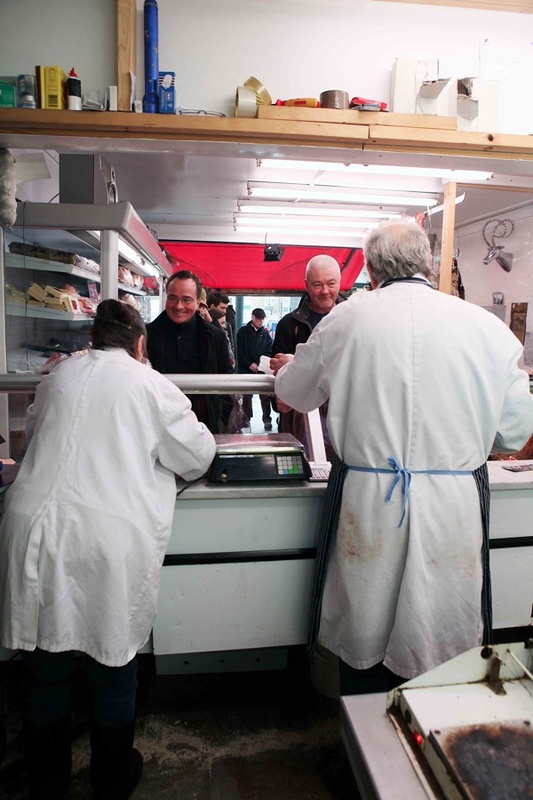 Peter Sargent is a decent hardworking man – his meat is top notch. 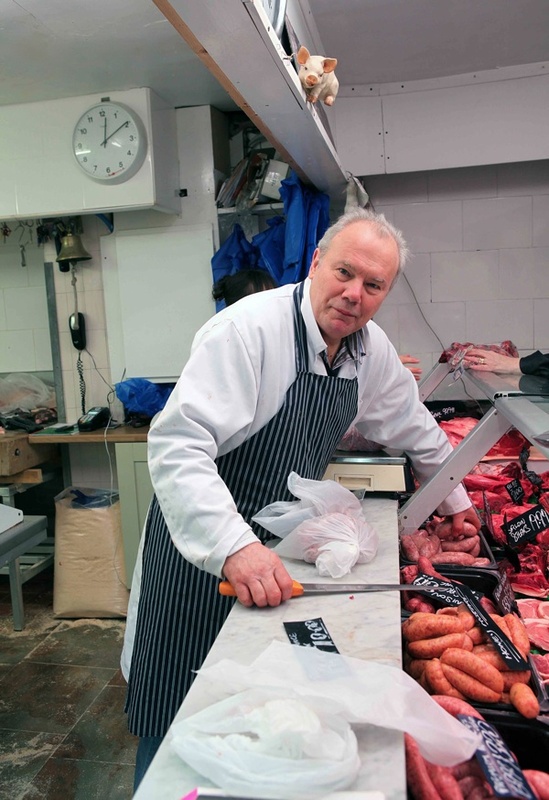 He is the last butchers down Bethnal Green….I miss the old BG Road…..keep up the good work Peter…Tesco’s food is processed rubbish! !